Let out your inner beest. 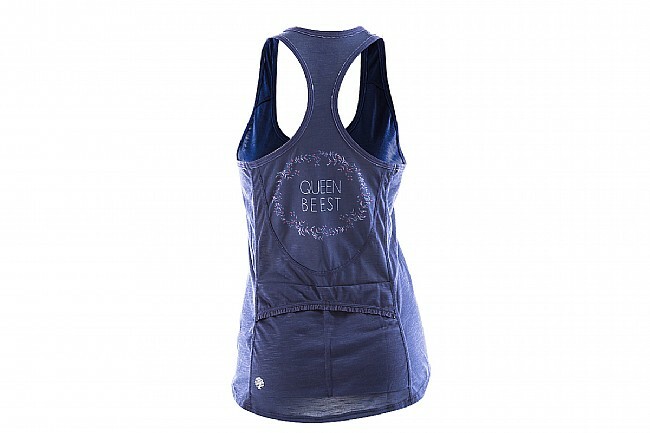 Designed for optimal comfort in all terrains, the Bella Goat Tank from Shebeest is part mountain bike jersey, part chic athletic top, and 100% awesome. Featuring a 100% polyester knit construction, this durable fabric also features 4-way stretch properties for a figure-flattering cut. An 8" front zipper allows for secure, adjustable ventilation, while out back, two pockets offer secure storage of all the riding essentials. Sleeveless design with racerback cut.